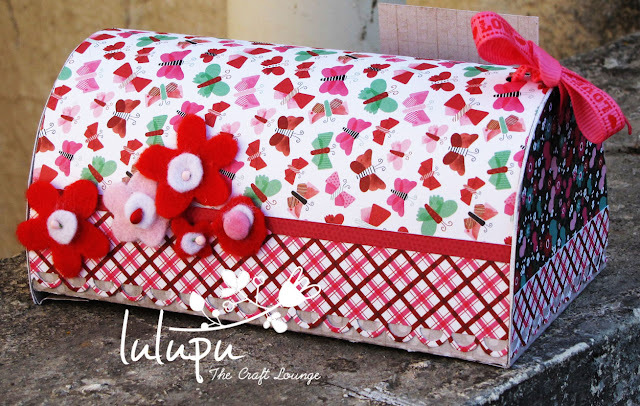 Lulupu - The Craft Lounge: Love Mail Box! 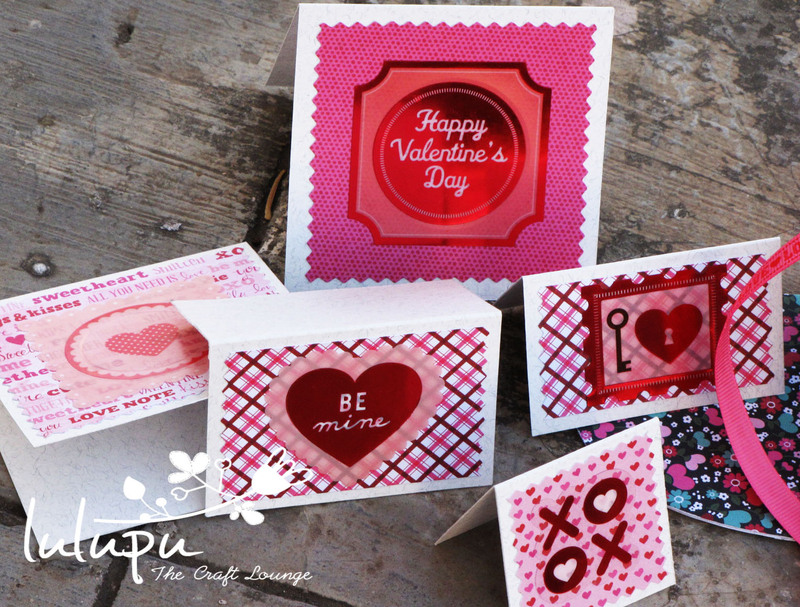 It's all about love this month here at Lulupu! I hope you have loved and enjoyed the DT projects as much as I have and I hope they have inspired you to make your own. Today I am sharing a project that has been on my mind for long and I thought it would be perfect as a little Valentine's Day gift. 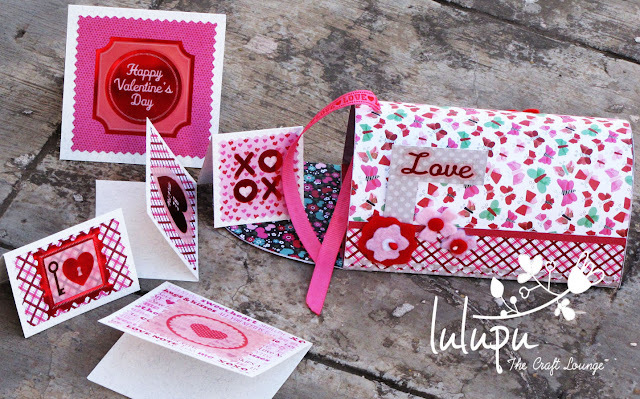 All papers used are from American Crafts XOXO 6X6 Paper pad, it's perfect for love projects like this one and the Martha Stewart Acetate Die cuts make everything so easy and gorgeous. All supplies used are linked at the end of this post. I loved making some felt flowers to decorate the mailbox. Flowers are hand cut and adorned with pollens and Doodlebug Crushed Velvet Brads. I hope you like this idea and are inspired to make your own for your loved one this Valentine's Day! 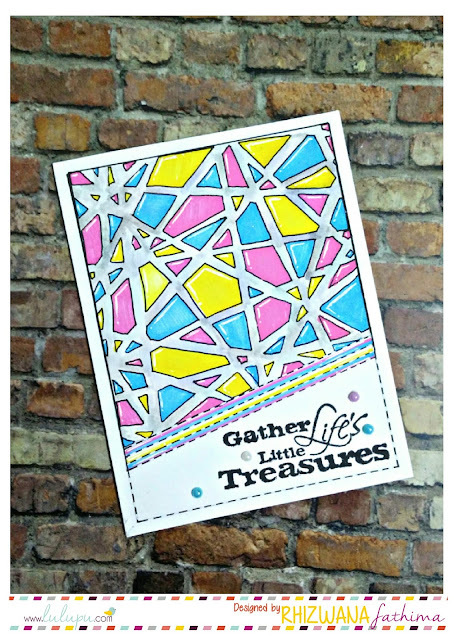 So link up your projects for Lulupu Challenge#8. 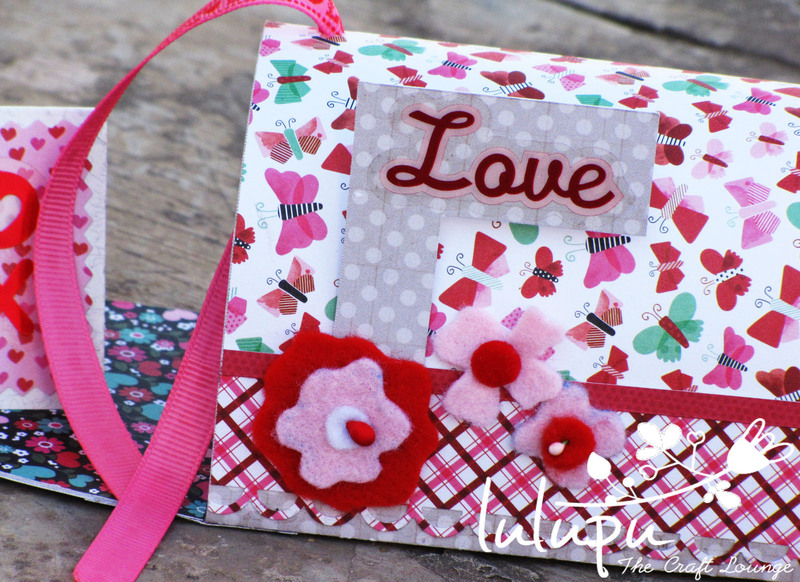 Awwww... its such a cute project Ujjwal! 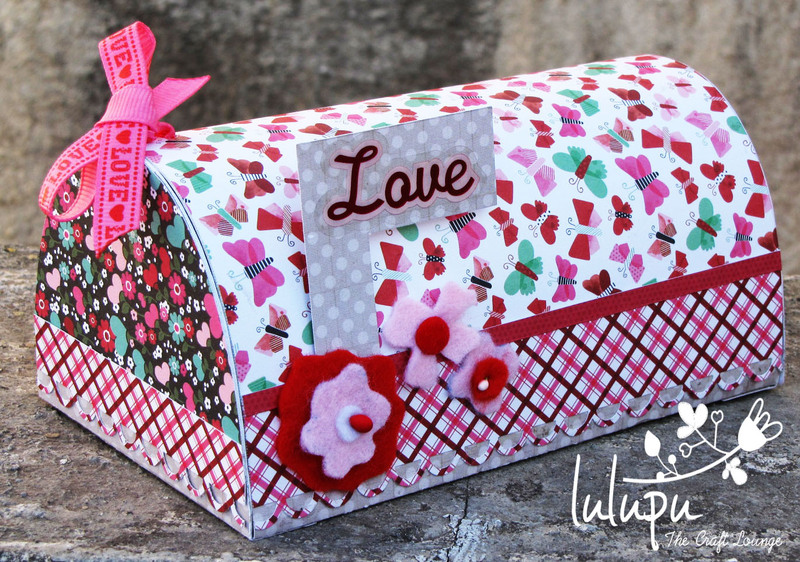 lovely mailbox... filled with so much love.. awesome project with yummy colors and papers..
wow.......... what a pretty love mail box. Its gorgeous .I liked the pps and the cards are pretty ! How to: make a Napkin Fold Card!